It can be an emotional experience when a family member returns from deployment -- even for the family dog. Cassandra Cabrera deployed to Africa when her beloved Miss May was just a puppy. She was worried that by the time she returned, her best friend wouldn’t remember her. But on Thanksgiving Day, in a video that’s gone viral across social media, Cabrera returns home for the holidays. Her family waits for her at the foot of an escalator at the Sacramento Airport -- with Miss May in tow -- who stands at attention as she sees her Cabrera coming down to see her family. The pooch simply can’t contain herself, and jumps all over Cabrera, giving a warm welcome to the family member she never forgot. 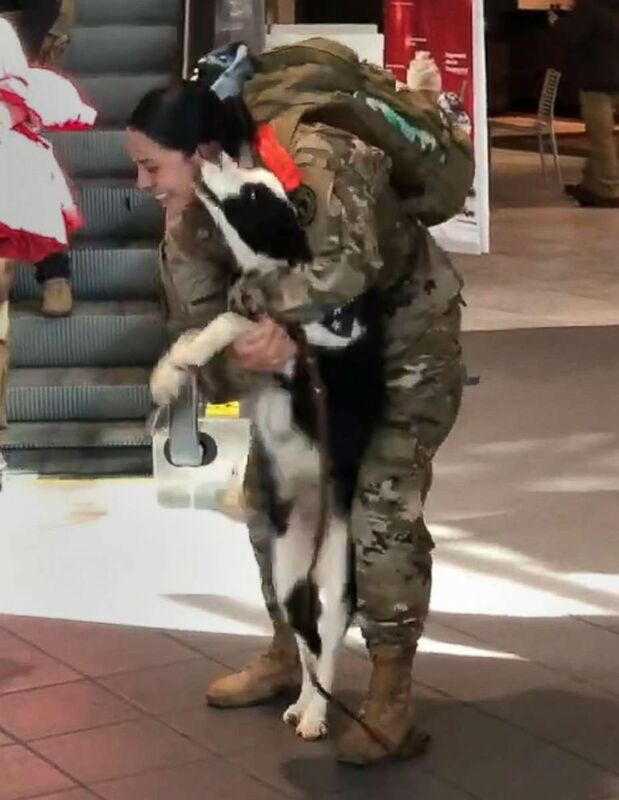 Cassandra Cabrera is greeted by her dog, Miss May at the airport upon her return from a deployment that separated them when Missy May was still a puppy.